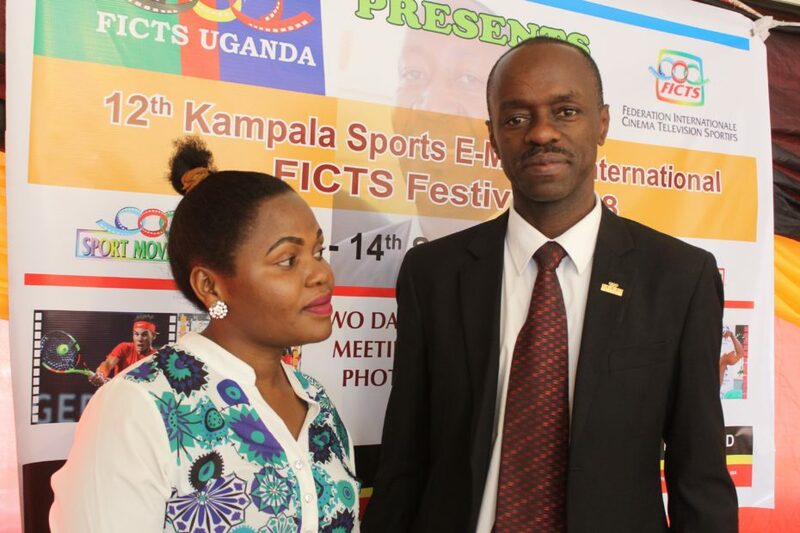 Great success for 12th edition of the “Kampala International FICTS Festival” organized in the African Continent as part of the “World FICTS Challenge 2018” in a colorful Ceremony graced by a Senior Journalist and an Instructor at the National Leadership Institute (NALI) in Kyankwanzi (Mr. Tony Geoffrey Owana). Entries from Japan, Italy, Brazil, UK and Uganda out competed the rest to emerge winners. Uganda’s Entry entitled “Entabiro Y’ebyemizannyo” (Sports Variety Show ) produced by Sekamate Naswiru emerged winner of the Sports Show Category. Sekamate and his Crew were awarded a Certificate of Merit and an Award by the promoter Mr. Dean Kibirige which were handed to them by the Chief Guest – Mr. Tony Geoffrey Owana. “Days of Truce” – which emerged winner in the Olympic Games/Spirit Category. “Crazy for Football” – which emerged winner in the Sports & Society Category. “We are the Super Humans” – which emerged winner in the Sport Advert/Promo Category. “Spirit of the Athlete – Tadahiro Nomura: The Last” which emerged winner in the Documentary Great Champions Category. The 2nd APL Mentorship Award, was given to Aldrine Nsubuga Senior, a gentleman who was nurtured by the late Dr. Andrew Patrick Luwandagga during his early days as an upcoming Football Broadcaster , and has gone ahead to impress at both local and international level by commentating and doing analysis for UEFA Euro 2004, 2012, FIFA World Cup 2006, 2010, 2014 & 2018 AFCON 2008, 2010, 2012, UEFA Champions League, CECAFA Tournaments and the Ugandan Football Premier League. Currently he is the Vice President /Brand and Marketing Director of StarTimes and during his reign he has been able to give back to Ugandan football by brokering deals with Giant Clubs like (SC Villa and KCCA FC) and the Uganda Premier League. He was present and was handed over his Award by the promoter Mr. Dean Kibirige. In his brief speech, Aldrine revealed why he was successful despite the fact he had never done any journalism course. He revealed to an attentive audience – that the magic is having the passion to do what you love most and also to try always to stand out by doing something different from the usual. The winners will compete in the Final “Sport Movies & Tv 2018” scheduled in MIlano (Italy) from November 14-19. In his remarks the Chief Guest – Mr. Tony Geoffrey Owana saluted the FICTS fraternity for maintaining the gesture of recognizing works for Sports producers but also cautioned those that cover rowdy situations to mind about their security first because there is no picture or footage worth their Lives! Finally he congratulated all winners plus participating entries from different parts of the world and encouraged Ugandan Sports Producers to increase their participation in next year’s Festival . The Opening Ceremony has been held at Seascallop, in grand style by the representative of the Chairman National Council of Sports, Mr. Cedric Babu Ndilima, who serves as Chairperson of the Marketing Commission of Uganda Olympic Committee (UOC) and who is also President of Uganda Tennis Association (UTA). At the “Opening Ceremony” graced by Mr. Babu , news of more than 24 Entries from 14 countries and a message from FICTS President Prof. Franco Ascani about Sport being an instrument of Social Change, through the exciting images of esteemed directors and qualified workers of cinema and television, attracted the attention of media participants in attendance. In his address to members in attendance the president FICTS Uganda, Mr. Dean Kibirige, pledged to maintain and to grow the festival , the late Andrew Patrick Luwandagga started 11 years ago, to greater heights . 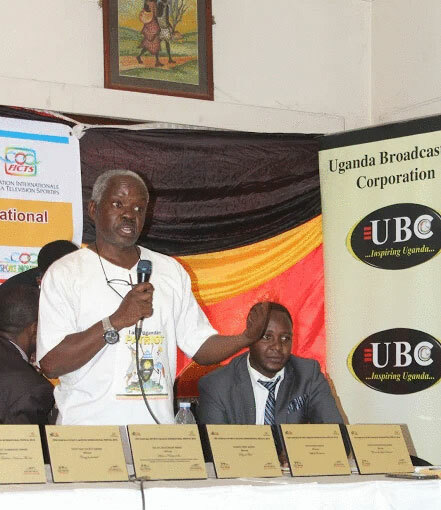 He also informed the media participants in attendance that for the second time a special award (The APL Mentorship Award) in the names of Andrew Patrick Luwandagga will be given to one most outstanding Person or Institution that has contributed greatly to the development of Sport locally and on the international scene. In his address the representative of the chief guest Mr. Cedric Babu Ndilima, lauded FICTS Uganda for sustaining and organizing the Kampala FICTS fest, even after the demise of his late friend and founder (the legendary broadcaster Andrew Patrick Luwandagga). He also urged the media participants not to forget, that Sport and Journalism where “Symbiotic” (meaning that one cannot exist without the other)…and on that note he reminded the media to keep doing the good job of producing stunning Cinema & TV works, which act as an evaluation tool to athletes and other concerned stake holders. In his final remarks he pledged that National Council of Sports (NCS) and Uganda Olympic Committee (UOC)will maintain its Support and patronage for FICTS Uganda for many years to come in the future. Others notables present were: The New Vice President Uganda Journalists Association (UJA) – Ms. Mercy Lugemwa, The Organising Secretary Uganda Sports Press Association (USPA) – Mr. Bwambale Francisco and The Assistant Head of Department Journalism (YMCA University Uganda) – Mr. Naswiru Sekamate.